Pierre standing in the grounds of Eden House. On this day 26th June 1885 (126 years ago), my great grandfather Pierre Marie Jean Baptiste Gosselin was born in Plaine Haute, Cotes du Nord, France. He was the son of Jean Louis Gosselin and Marie Louise Boutier. Jean’s profession is recorded as ‘profession de marichal’ (I am still unsure what this means). I found the records online at Archive Departments of the Cotes D’Amor. I have discussed this website before in the post French Digitized Records & Online Databases explaining how I discovered the record of my great grandfather, which took a lot of work but was very worth it and so exciting. 26th June 1885 – Pierre is born to parents Jean Louis Gosselin & Marie Louise Boutier. the ‘premier temoin’ (which I think means first witness) was Pierre Oger. The second temoin or witness was Michel Boutier. 1900 – At some time around the turn of the century Pierre must have been one of the many French Breton farm workers who emigrated to Jersey. 1911 – In the census Pierre (age 25) is living at Hope Cottage, Samares, St. Clements, Jersey. He is working as a ‘day labourer’. His wife Blanche(age 20) is living with him at this time and is working as a ‘charing’ lady eg: char lady. 1912 – Birth of son Peter Gosselin. 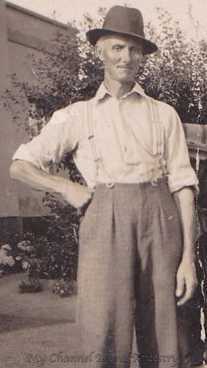 25 April 1914 – Birth of Rene Jean Gosselin (my grandfather). 1914 – Beginning of World War 1. 1916 – Birth of son Henri Pierre Gosselin. 1921 – Birth of daughter Blanche Olive Mary Gosselin. 1922 – Birth of daughter Antoinette Marie Gosselin. 1924 – Birth of daughter Genevieve Augustine Henriette Gosselin. 1939 – Beginning of World War 2, Jersey is occupied by the Germans. 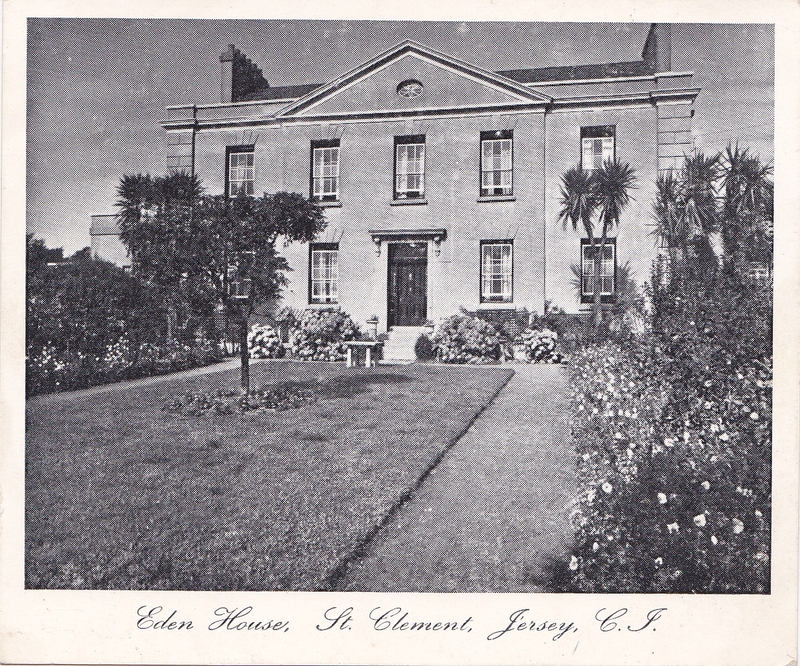 1941 – Pierre is living at Eden House, St. Clements, Jersey. 1945 – End of World War 2. 1956 – Pierre dies at the age of 71 and is buried in St. Clements Parish Curchyard with his wife Blanche. This is a grand age considering he lived through two World Wars. Tip: It is always useful to take note of witnesses at births, marriages and deaths as they may be related somehow. As you can see in this case one of the winesses for Pierre was a Michel Boutier, a relation to his mother, but I don’t know how yet? A ‘maraîcher’ is a market gardener, so I imagine that is is something along these lines. Thanks for your feedback. From some of my research I have done the only definition I could find was: ‘Marshal’. I will post an image of the word written on the record for all to see. Ramona, this is absolutely fantastic, I didn’t realise you had got so far with it. You really make this come alive, and they feel like people. Thank you so much for doing this, will let everyone know about it and print off and show your father. Marechal was someone who cared for horses with a marechal-ferrand being someone who also shoes horses (farrier). Thanks for sharing this information Joanne, I have just find out today another explaination on Jersey Family Tree Facebook page. Marechal-Ferrant = Blacksmith specialising in shoeing animals, mainly horses. They also provided basic care to sick animals. Je suis une arrière arrière petite fille de Jean Louis GOSSELIN (1845-?). Je suis une arrière petite fille de Ambroise GOSSELIN (1890-1963), qui était un frère à Pierre GOSSELIN. Thank you for coming by my family history blog. I did not know that Pierre had a brother called Ambrose, so thank you for that, I will research Ambrose to find out more about him. How wonderful you have stopped by my family history blog and shared your information. I am in Sydney and hope to see Adelaide one day! I shall add your details to my notes and tree. I dont think Banche was the daughter of the owner of Eden house as she came from France. Just how i remembered my grandfather in his attire. Not quite sure how he managed to move from hope cottage to eden house. A pretty big and expensive house in those days and him being a laborer don’t suppose they had a lottery in them days? Thanks for stopping by my family history blog. I think the latest theory is that Pierre married the daughter of his boss who may have owned this house originally. Something I need to confirm. Son of Henry and Madeleine .